Owen Taylor submitted this photo and caption. 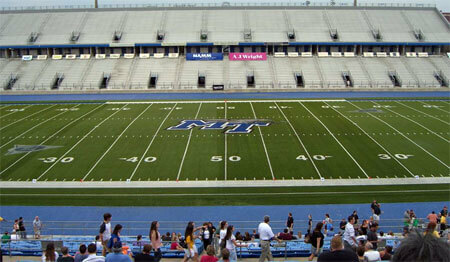 Here was a pic I took before the start of last year's DCI show in Murfreesboro, Tenn. I still remember that show as one of the best drum corps show I'd been to in a long time – a great venue and always a great lineup. With the season starting soon, I can't wait for this year's show! Pearl Presents the Masters of the Summer Music Games in Murfreesboro on July 25, 2008.